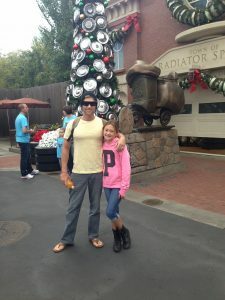 In this Fearless Networker Spotlight, we’re featuring Eric Tippetts, a guy with boundless energy and enthusiasm, a natural entrepreneurial spirit, and a husband of 17 years to Shelly and father to 12 year old daughter Asia. The Fearless Networker: Eric my friend, you and I go way back. You want to share with the readers how we met? 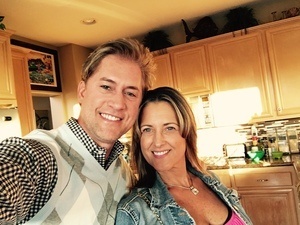 Eric Tippetts: Todd and I have many mutual friends in and out of the Network Marketing profession. I have always followed Todd as he just seemed like a “bro” that I could hang out with. As you watch people, especially on video, you start to get a clear sense of who they are, what they stand for, and the value they provide to others. I always enjoyed watching Todd as he was so real and authentic. 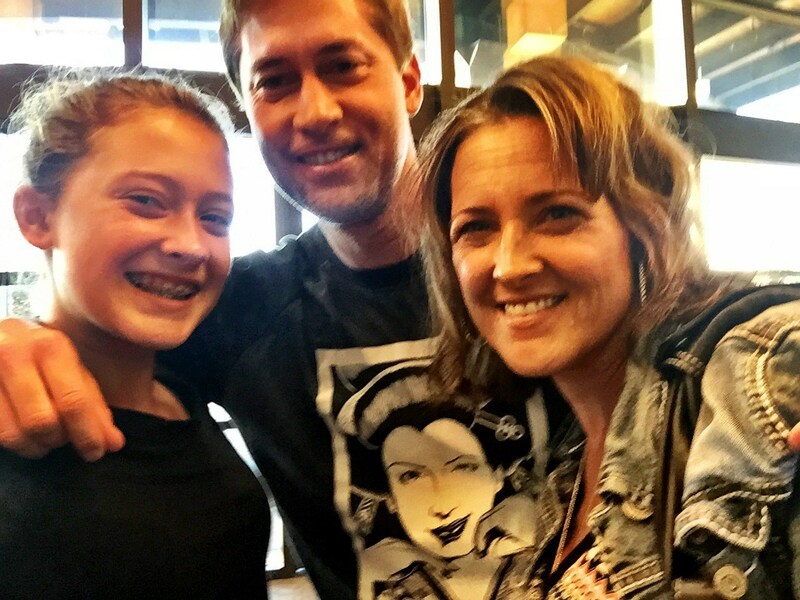 As I have become good friends with Todd, spent time with his family, and traveled the world with him…he IS the real deal. Truly passionate about his personal and professional life and about helping others succeed in living an amazing life. I respect that a lot. The Fearless Networker: Thank you! Feel the same way about you brother. We’ve shared some adventures, haven’t we? Eric Tippetts: One of the greatest times I have had with Todd is traveling to Southeast Asia together. I was consulting with a Network Marketing company and helped them launch their products into Southeast Asia. I asked if I could implement a top tier training system within their company. The CEO shared the same philosophy and agreed to let me hand pick trainers that I thought brought huge value in training IBO’s on the real life, day-to-day skills of prospecting, recruiting, team building, overcoming objections, and leadership. Todd was a clear first choice for me. The Fearless Networker: That was a fun trip! Eric, some people may not know who you are. Why don’t you just give us your quick background? Eric Tippetts: I am a serial entrepreneur. I like long walks on the beach, sunsets, and a glass of wine. Oops, wrong interview. Lol! I have been a serial entrepreneur since I was 19 years old. My father and I started a company together and I was tasked to oversee sales and marketing for this new venture. I had no training, completed half a year of college and really only wanted to surf and have fun. But, what I wanted more than anything was to NOT have a job. So I thought this would be a way to slide a little while learning how my dad became a successful salesman in his previous venture. What I quickly realized is that I love people and really love listening and understanding what challenges they’re going through to try and genuinely help them. This lent itself to scheduling my first meeting from a cold call. It was with the CEO of Boeing! That’s a whole other story in itself, but long story short his assistant felt bad for me and booked 15 minutes on his calendar without him knowing who I was. When I arrived he asked, “Who are you? !” Without missing a beat I said, “I have a system that I think can revolutionize Boeing Aircraft.” He started belly laughing and invited me in. After 15 minutes, I secured a trial with 40 of his top executives. We STILL have that account, 23 years later! It was then that I realized I love technology to help simplify and leverage people’s time, efforts, and results. Because of this, I have created many tools like, EVA (Electronic Virtual Assistant), Voice2insight, The Expense Tracker, and Rocket Recruiting. 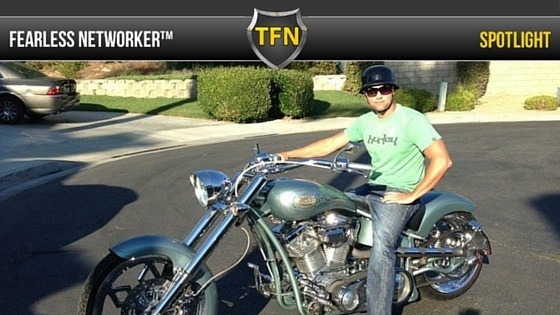 The Fearless Networker: How did you focus on the Network Marketing profession? 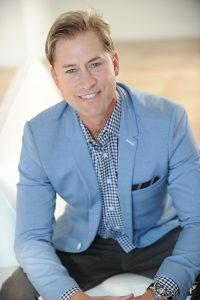 Eric Tippetts: I found that the Network Marketing profession was a perfect fit for me because it offers the ability for anyone, any skill, any color, any demographic, and any financial situation to become an entrepreneur without all the risk, overhead, and stress like a tradition business. I love the model of Network Marketing, you have to help others succeed or you will never prosper. With a background of working in traditional companies and their sales teams, it was clear how cut-throat and back-stabbing people could be to get ahead. Until Network Marketing, I had never experienced an industry that revolves around personal development with a comp plan attached. That’s powerful! The Fearless Networker: Where do you feel your value is to this profession? This is why I believe so passionately in tools. They leverage your talent, time, effort and results. The key is making sure the tools have a purpose and are not time and energy drainers. They need to have a role in enhancing your daily activities and results. This is critical. So many people are preoccupied by playing the “busy game” that they are not being productive at all. They just spin their wheels, being busy and wonder why they never sponsor anyone, move up in rank, grow their check, etc. I believe the tools and content that I have created, together bring a very unique and powerful combination to the Network Marketing profession. My tools were created with a clear purpose and result. The content I provide is coming from an objective set of eyes that provide a fresh perspective on what your prospect is thinking and doing. 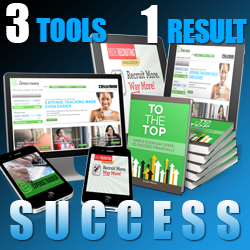 I believe tools increase your success factor MASSIVELY! 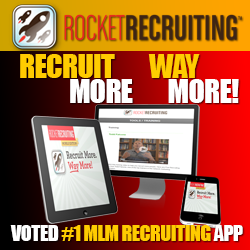 For instance, I built Rocket Recruiting with a very simple and specific result; to recruit anyone, anywhere, anytime without rejection. I am a firm believer in the laws of reciprocity and have built several multiple million dollar businesses on this premise. Give before you ask. Give value upfront to EARN a prospect’s business, don’t just ask for the sale. This mindset is so simple, but I am amazed at how many people struggle with recruiting because they are constantly asking everyone around them to join their business, to buy something from them…basically to DO something for them. Everybody wants to buy, but no one wants to be sold. Rocket Recruiting turns this process upside down and leads with a giving hand to build a relationship and provide an irresistible offer to prospects. For example, “If I can show you that you’re losing approximately $200-$500 per month in taxes on your paycheck and I could help you keep this amount by starting and running a home business….” I have now given my prospect a raise and they are now profitable the first month in their home-based business. How contagious and viral do you think that information will be with their friends, co-workers, and family?! That’s what I love about really good, beneficial information…it’s rejection free. No one can tell you “no” by giving them information that will help keep an extra $200-$500 in their pocket each month. This is the reason why my beta tests of 312 Network Marketers had results like this: 93% signed up one new person in their business within 7 days and 23% signed up one new person in their business within 24 hours. That’s a game changer! The Fearless Networker: That sure is a game changer! You just launched a version 2 of Rocket Recruiting. What are some of the new things people can look for with this new version? Eric Tippetts: I’m really excited about this Todd. There are six new and/or revised features and here they are in a nutshell. 1. Simple Dashboard. A simple and “un-techy” dashboard makes managing your Network Marketing business a snap. 2. Recruiting Videos. 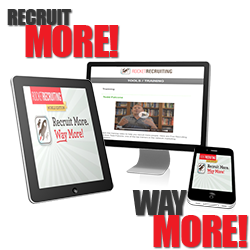 Recruiting video’s explain the power of owning and running a home-based business from a tax strategy savings standpoint. 3. Daily Checklist. To build any business it takes “action”. So we have built a “5x a Day Action Checklist”. Every time you send a tax savings estimation report or share a recruiting video, you will receive a green check mark that is a simple way to track the actions you are taking to build your business. to create daily action with their team. 4. Training Videos. We want you to learn from the top Network Marketers who give you simple, short, but powerful insights on building your business, recruiting, team building, duplication, and retention. 5. Social Media Sharing. 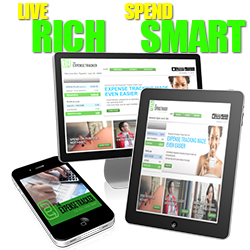 We know that being able to build your business online is vital to your growth and leveraging viral duplication. We have made it a one-click feature that makes sharing any recruiting video a snap via Facebook, twitter, etc. 6. Leads Tab. Managing and following up with your leads is crucial. We have automated the process so your lead will be captured and entered into your system which will remind you to follow up in a timely manner. The Fearless Networker: Are their any actions that you practice and have found to be exceptionally productive in business? 1. Knowledge. You need to educate yourself everyday on your profession and prospect. Stay up to date with your profession and understand your prospect so you can truly help. 2. Tools. 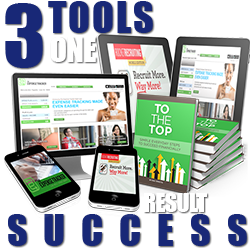 Like I said before, leveraging tools will increase your success factor in business. That is why I built Rocket Recruiting, to simplify recruiting by leading with a giving hand of powerful and valuable information for prospects. I built The Expense Tracker to simplify managing a home-based business owner’s finances and to help maximize them with tax strategies. 3. Motivation. If you are not passionate and motivated to take action you will always be stuck in the same place. It all starts in the morning. Mornings are absolutely THE most critical time of the day. Your mornings set the tone and pace of your day. If you start off late and frantic…your day will continue to be so. If you start off fresh by reading motivating material and creating a task list, your day will be filled with productivity. To assist with that, I created a daily video program called “The 7 Days to Unstoppable Motivation” where you’re emailed a motivational video each morning to get you super, crazy inspired! Eric Tippetts: The #1 biggest comment I can share with you would be this, you have to be 100% protective of the people with whom you surround yourself. If you have negative people around you, it’s almost 100% certain you will become negative and fall into their misery. Protect yourself from these energy drainers. Make a commitment to yourself that you will join a group, business, and/or community that empowers each other, forces growth and inspires you. Surround yourself with individuals who you want to become more like. Hands down, this will change every reader’s life. The Fearless Networker: What was your biggest struggle or roadblock on your way to achieving success in business, and how did you overcome it? 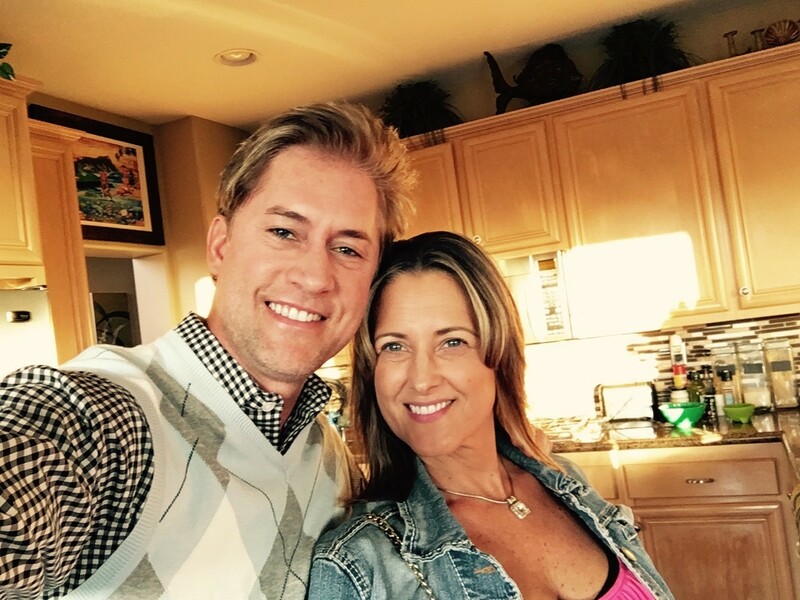 Eric Tippetts: In the beginning, it was my age. I was 19 years old when I started my career as an entrepreneur. I had no previous success, no credentials, no stories, nothing. I was a young kid that had big dreams but worried about being rejected. To overcome this I decided not be be a “know it all”. I just asked questions and listened. You will be amazed at how many people don’t get the opportunity to talk and don’t feel heard at work and/or at home. Take the time to be interested in your prospect and what they are saying. Silence your mind and just focus on them and their words. Don’t jump in to be quick with a solution. This was a mistake I made A LOT in the beginning. I wanted to guide the conversation to get the outcome I wanted, not necessarily what my prospect wanted, and it never worked out. After gaining success, building my stories, creating a history, and developing a track record the biggest struggle became my mind. I felt that I was succeeding at such a rapid pace that it would not continue. And I was concerned that I was not good enough to hold up to the high expectations of those around me. When I started experiencing success, I even felt some friends getting uncomfortable with the growth that they were not also experiencing. They tried to bring me down so they would feel comfortable again. It was a hard time from which to to learn and grow. I recently shot a heartfelt video about that experience titled “The Dark Side of Success” to share these experiences to help others transition through this phase in their business career as an entrepreneur. A habit I incorporated daily that made a significant impact on my “me” struggle was reading at least 10 pages of a self development book a day. I started to invest in myself mentally and learn skills in all facets of business. That’s when I started believing in me, loving myself and being comfortable in my own skin. “Leaders are Readers” is a true statement because knowledge fills in all the gaps that tear away at your trust in yourself. The Fearless Networker: I totally, 100% agree. So what is your favorite business book of all time? 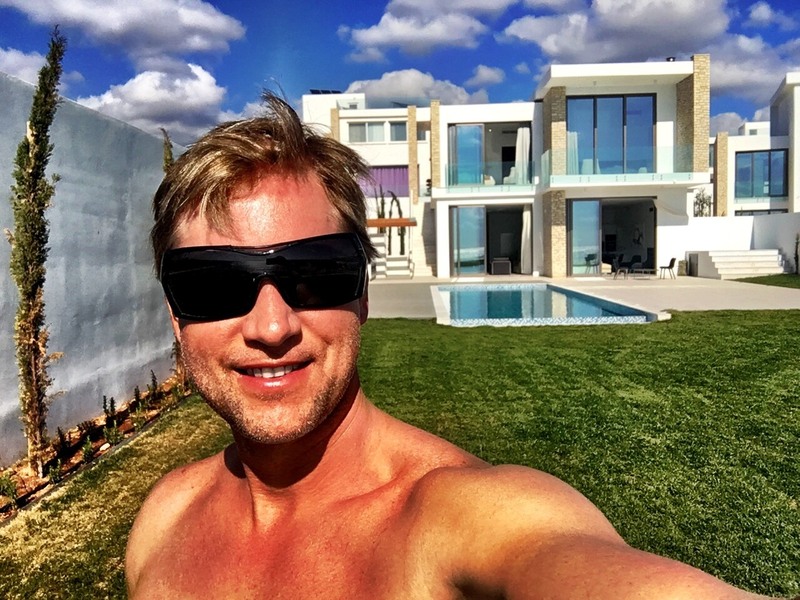 Eric Tippetts: The 4 Hour Work Week by Tim Ferriss. He changed my mind of what is acceptable because I always thought you have to work eight hours a day or you’re being lazy. I realized that is false. It doesn’t matter how long you work if you automate and have systems and tools that leverage your time, energy, and results. Life is meant to be enjoyed. The Fearless Networker: When we were in SE Asia together you were finishing up your book To The Top. What was your motivation for writing a book? Eric Tippetts: Yes, I remember telling you about the book. At the end of my presentations I would point up at the and say, “To The Top”. The audiences would go nuts so I knew this would be the title of my book. To The Top was a culmination of three and a half years of writing on airplanes, traveling the world, meeting thousands of entrepreneurs and hearing people’s stories, both good and bad. I had also gone through so many ups and downs in my life financially. I wanted to analyze what I was doing when I was succeeding as an a content, confident, and wealthy entrepreneur versus being broke, miserable, struggling and angry. 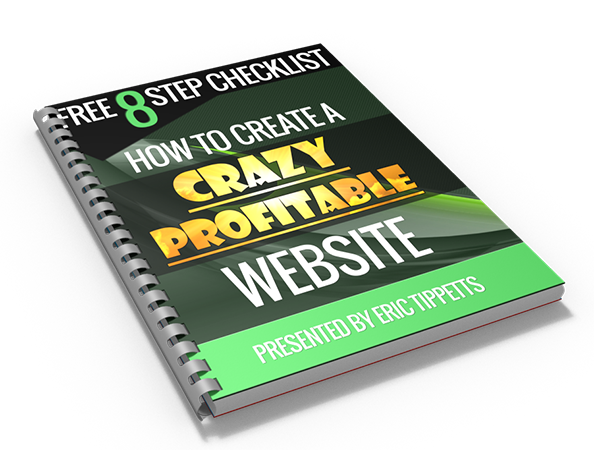 I wanted to give other entrepreneurs a roadmap of simple, everyday steps that lead to financial success. So many people live life drifting and eventually end up wondering where life went. I wanted to make a contribution to society and help people dream again, but lay a foundation under their dreams. Everyone has their “top”. 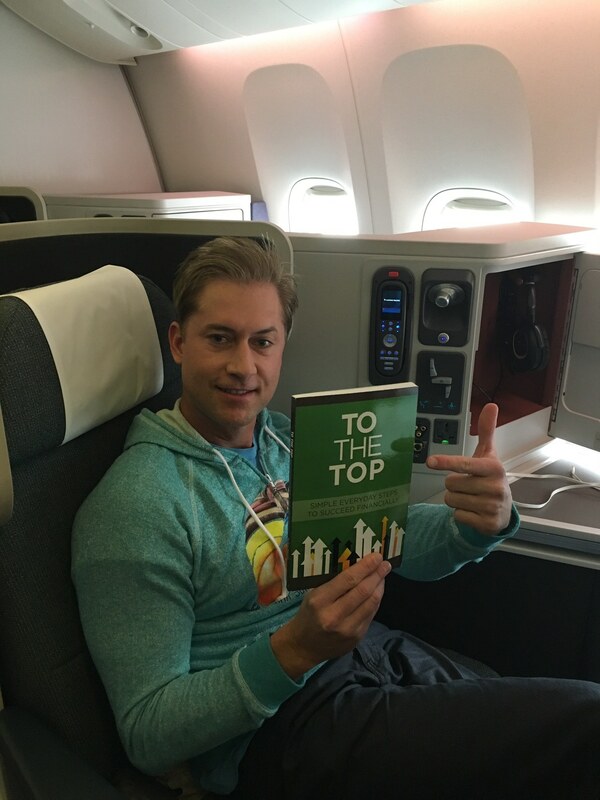 So this book not about my “top” but a roadmap for the quest of getting to each individual’s “top”. Eric Tippetts: The #1 biggest comment I can share with you would be this, you have to be prudent of the people with whom you surround yourself. If you have negative people around you, it’s almost 100% certain you will become negative and fall into their misery. Protect yourself from these energy drainers. Make a commitment to join a group, business, and/or community that empowers each other, forces growth and inspires you. Surround yourself with individuals who you want to become more like. Hands down, this will change every reader’s life. 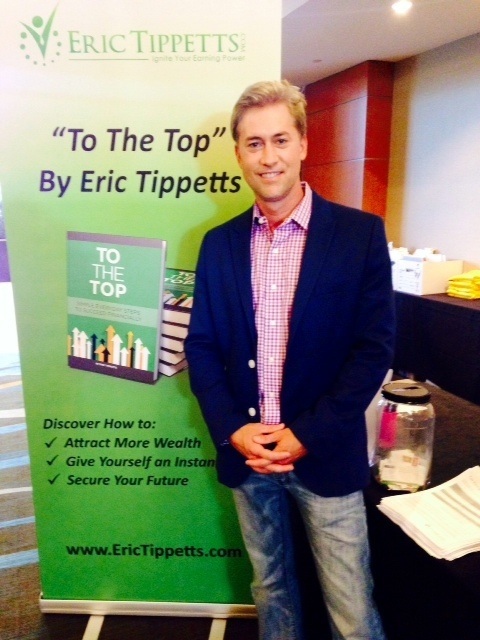 Eric Tippetts: My father said two things that have changed my life and become a foundation of how I live each day. 1. Dream B ig. Dream so big that it makes everyone around you uncomfortable, but lay a foundation under your dreams. I was really un-focused growing up. Once I focused on taking daily action towards my dreams, even when it was uncomfortable, hard, long, etc., that is when life really changed for me. We can do anything, it just takes action, patience and time. 2. Why Not? Those two words changed my life massively! Those two words are so powerful; they cut through the lies and stories we tell ourselves that allows us to not take action, not take a risk or not get out of our comfort zone. When you are going to take a risk and you start to have the mental chatter of why you should NOT do it, stop and ask yourself “why not”? Try it next time you question yourself. Fear is only in our mind. Asking yourself, “why not” pushes you through the fear. The Fearless Networker: I can’t wait to see what’s next for you. Thanks for your contributions to our industry. Eric Tippetts: I appreciate you taking the time to learn more about my story and share it with others. I’m humbled and super grateful for this opportunity! Thanks again Todd Falcone for a great interview. It is always a pleasure spending time with you! You are a true professional. Previous post Start a Thankful Vase To Create an Environment of Gratitude Next post Your Network Marketing Success Formula, Simplified!